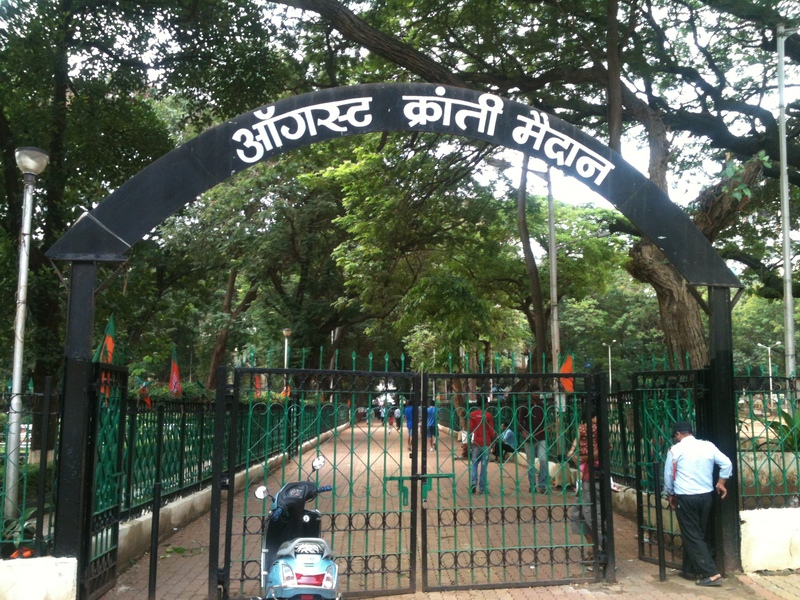 August Kranti Maidan, before its historical significance was a place where the locals used to bathe their cattle. 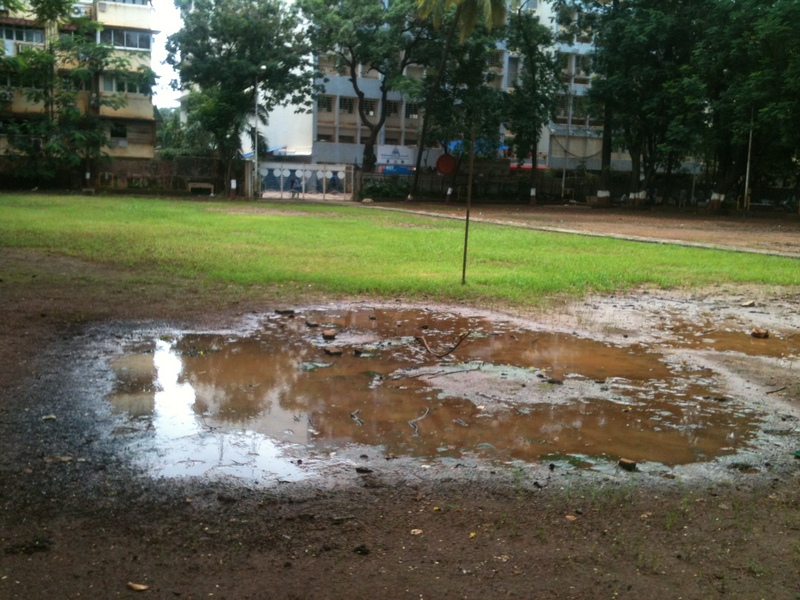 The original name still lingers around as the name of the vicinity known as Gowalia Tank. ‘Go‘ means cow in hindi and ‘walia‘ means the one who owns, hence this was the place for the cattle rearers and shepherds. There is supposedly an underground tank where the maidan is currently. 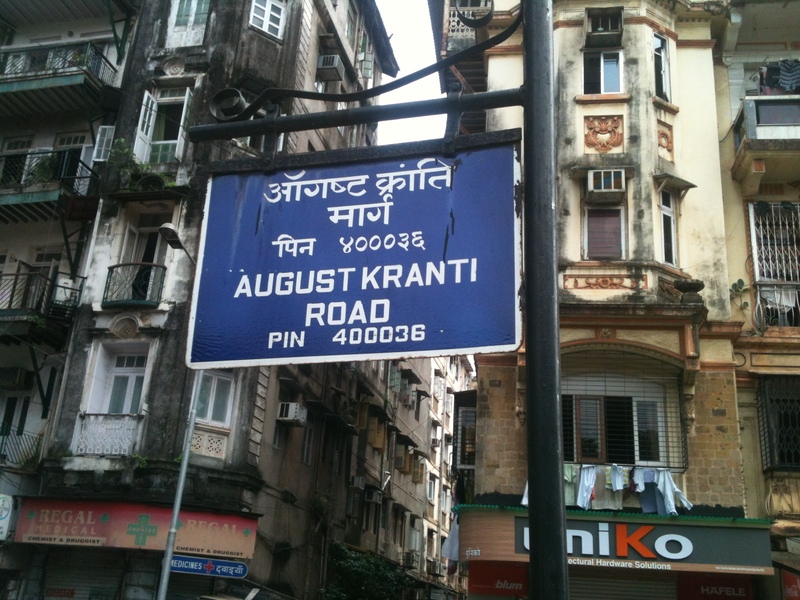 August Kranti Maidan has played a pivotal role in the history of India’s Freedom struggle. It was this place where Mahatma Gandhi on 8 August 1942 called upon his countrymen to launch the Quit India Movement or “Bharat Chhodo Andolan”. This was then one of world’s largest civil disobedience protest. 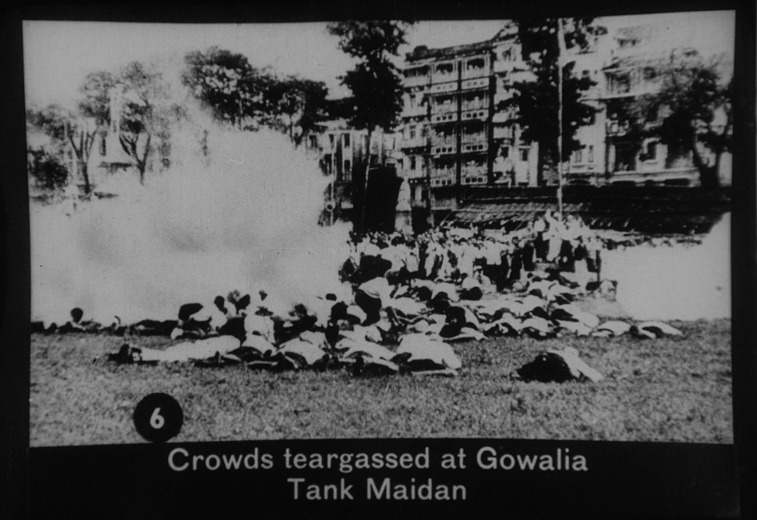 Around 60,000 people including all the top leaders of the Indian National Congress were arrested immediately after Gandhi’s speech at the Maidan where he proclaimed the slogan, “Do or Die”, a call to the masses to maintain passive but determined resistance against the British. It was evident by 1942 that the Indian sub-continent was utterly non-cooperative with the British. The war was going on and this non cooperation was scouring them. So in March 1942, Sir Stafford Cripps was sent to India for negotiating the terms for some kind of a dominion status. This was outrightly rejected by the All India Congress and the members assembled on 7th August 1942 the meeting only adjourned the following night. 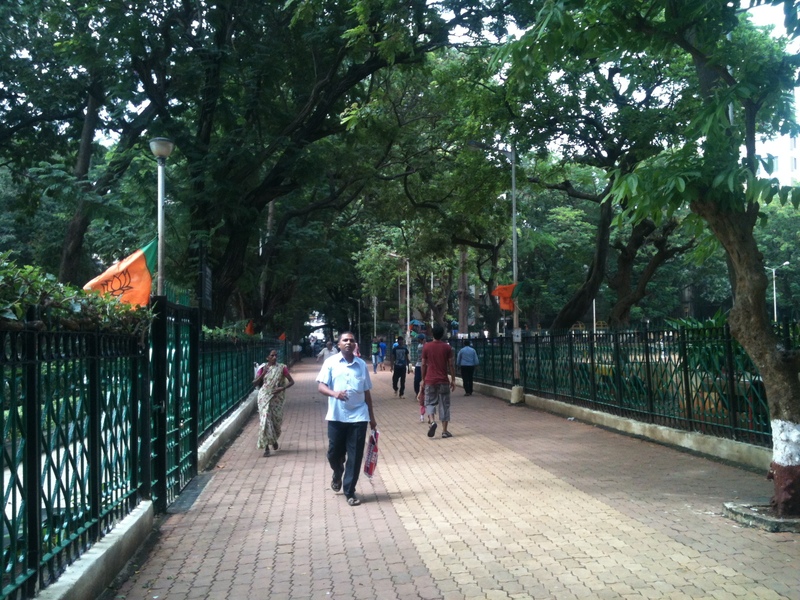 This where the Quit India movement was strategised. 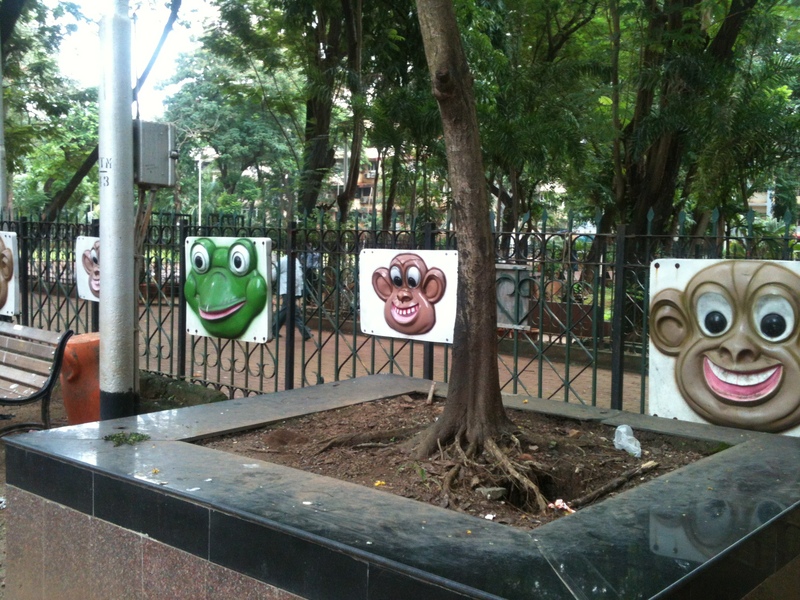 There were various suggestions for names for this agitation, like “Get Out”. It was Yusuf Merali who suggested the name “Quit India” which received Gandhi’s blessings. At the maidan prominent leaders of the Congress gathered and the flag was hoisted by Aruna Asa Ali. Apparently Gowalia Tank was also one of the main Tram Terminus. Trams would start and finish their journeys here. Today the closest railway station is the Grant Road Railway Station. 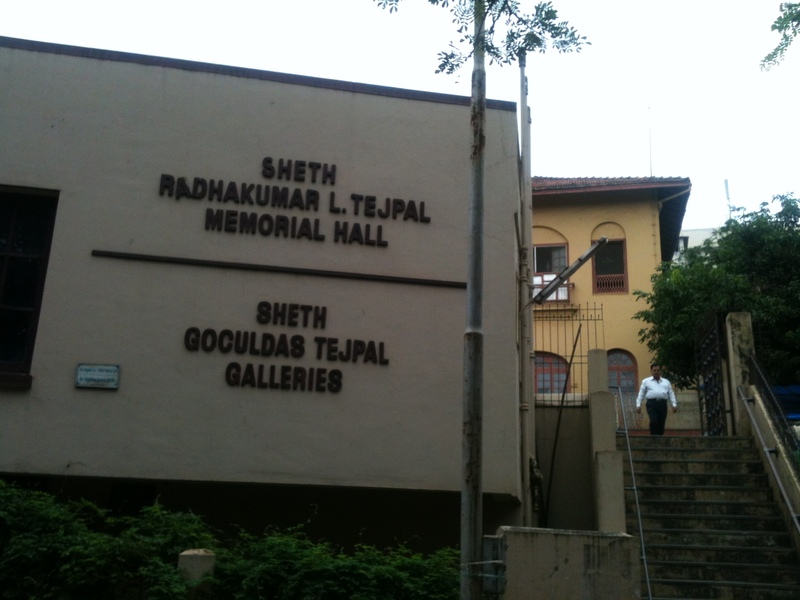 Opposite this maidan stands a hall that is about 130 years old donated by a very known patron called Gokuldas Tejpal. This hall is probably one of the most sanctified places of our democracy. 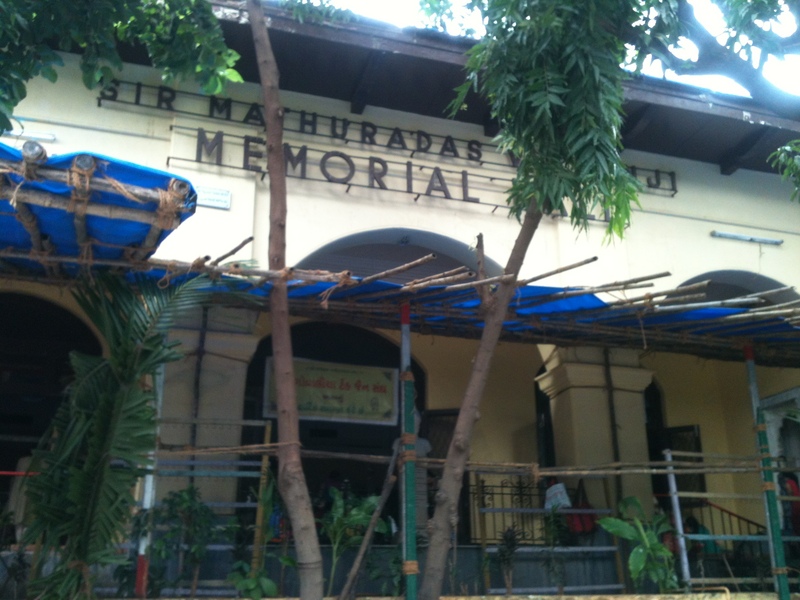 This is very place where the first All India Congress Committee was formed in 1885. 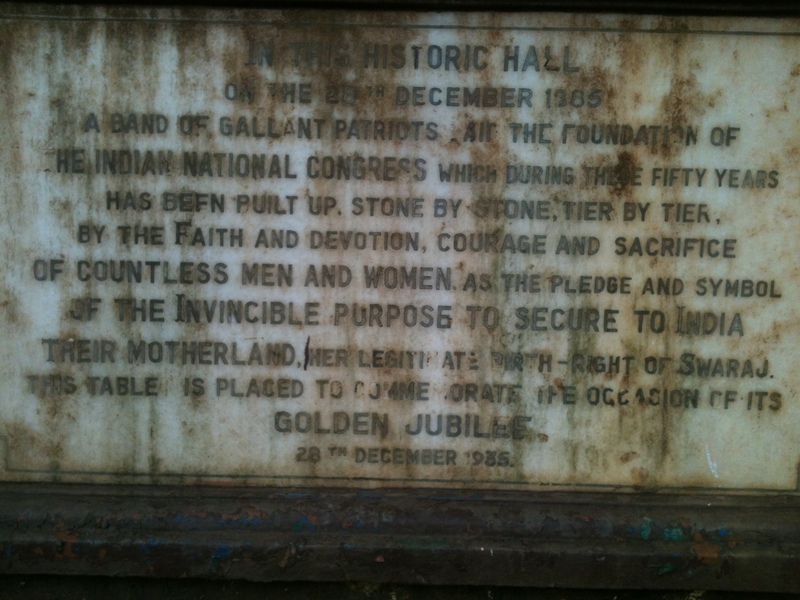 Later after fifty seven years opposite this hall the call for Quit India movement was lauched. 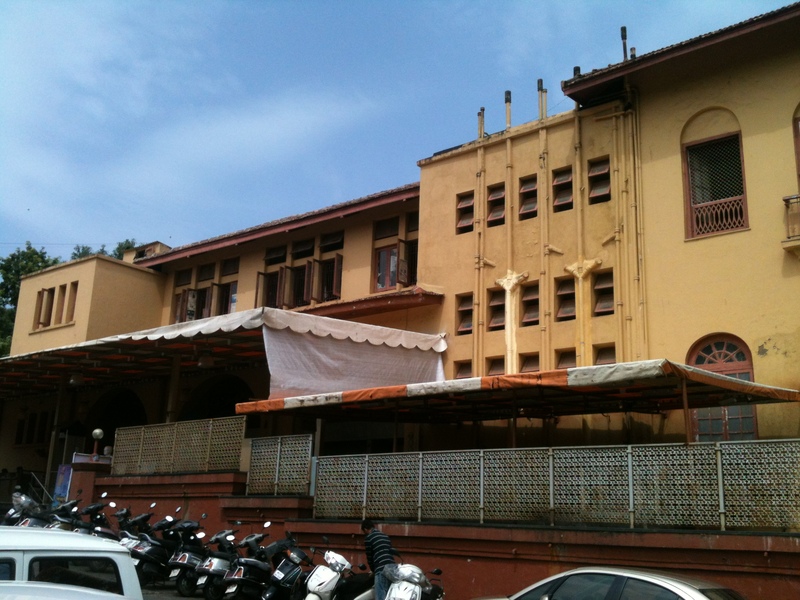 Adjacent to these places is yet another pious place, Mani Bhavan where Mahatma Gandhi lived for seventeen years. Today this place has been converted into a Museum. 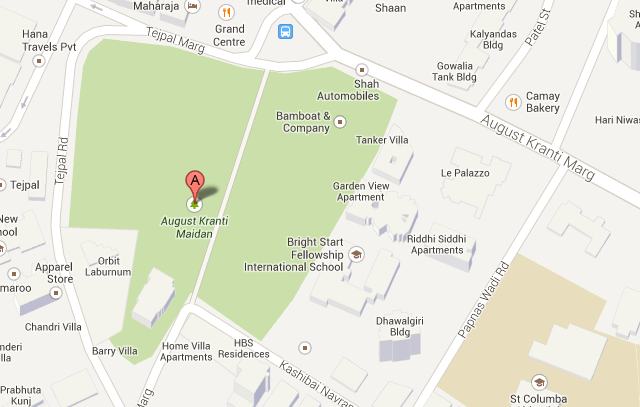 Is this a mere coincidence that all these places which invoke such nationalistic fervor is close to each other? 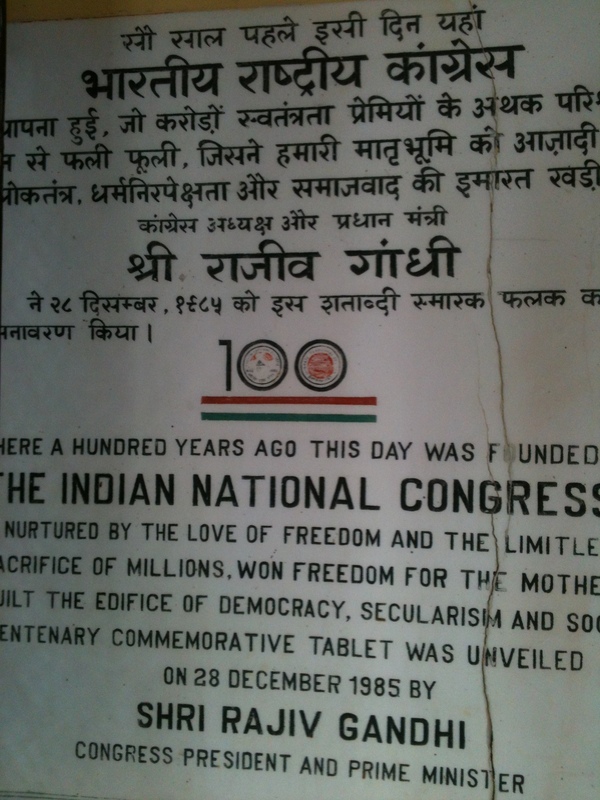 This is the plaque that is installed at the entrance of this hall at the completion of 100 years. Today this hall where the stalwarts of our freedom struggle congregated is rented out for weddings and events. The birth place and the most auspicious places for our democracy hosts religious events today. 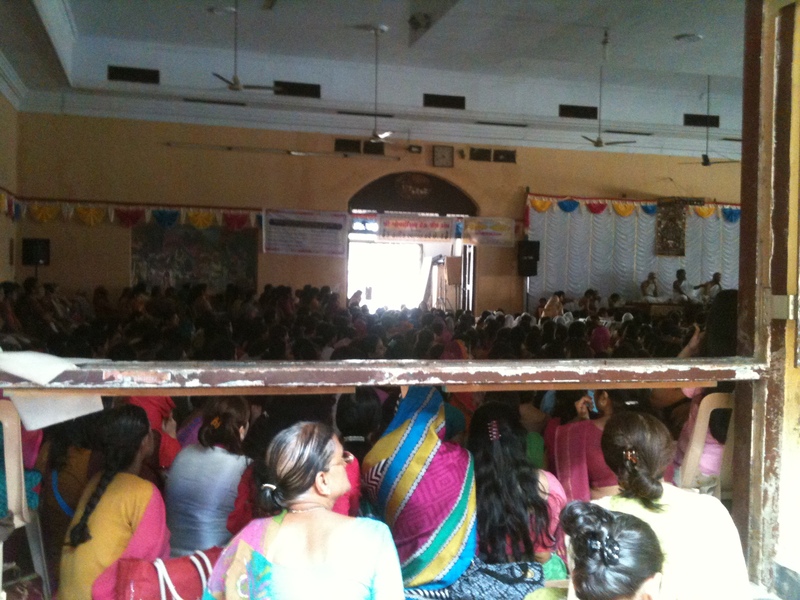 This particular event, a picture shown below is an assembly of Gujarati Jains. 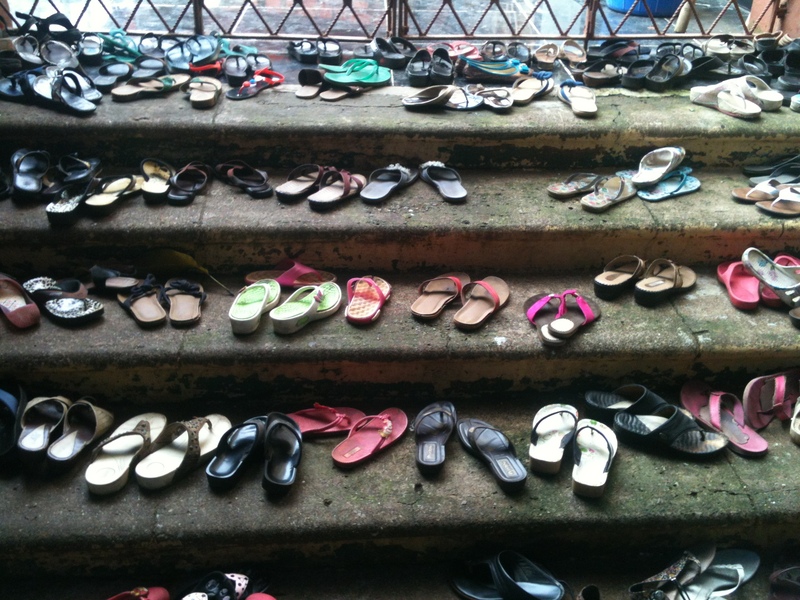 Weird but I felt like you can measure the prosperity of the people inside by the chappals they have left behind. 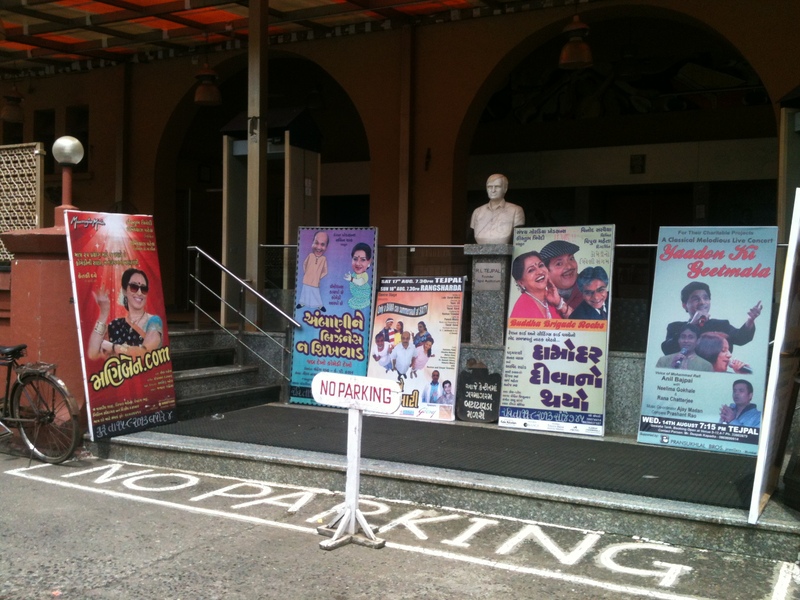 Hundreds of Gujaratis gather for such dramas here, the poster of which clutters the entrance of this hall. Thousands of people walk to the Siddhivinayak temple and stand in queue for tens of hours at a stretch, the foot fall would approximately be in lakhs on special days. Malls on weekends would become like a dam that hoards people. But here on a sunday I hardly find any soul. 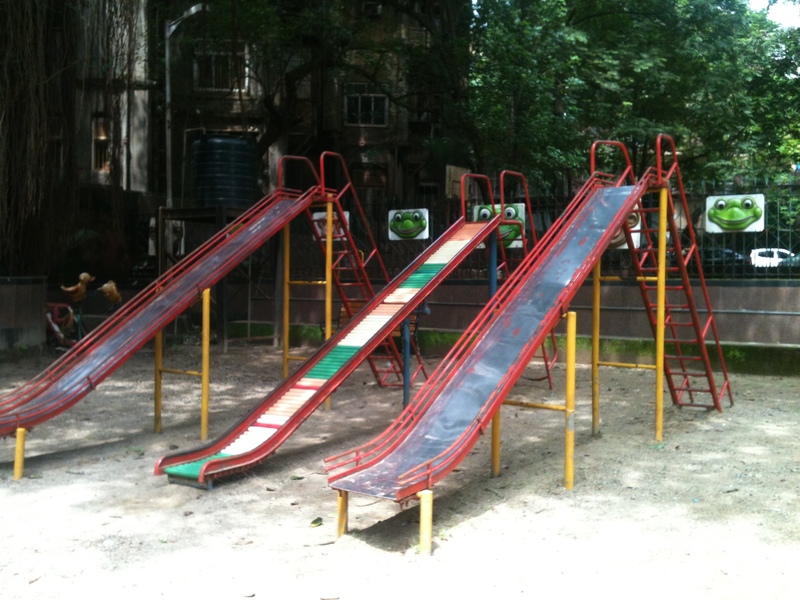 Are we oblivious or ignorant or intellectually a declining society? Where are we going? 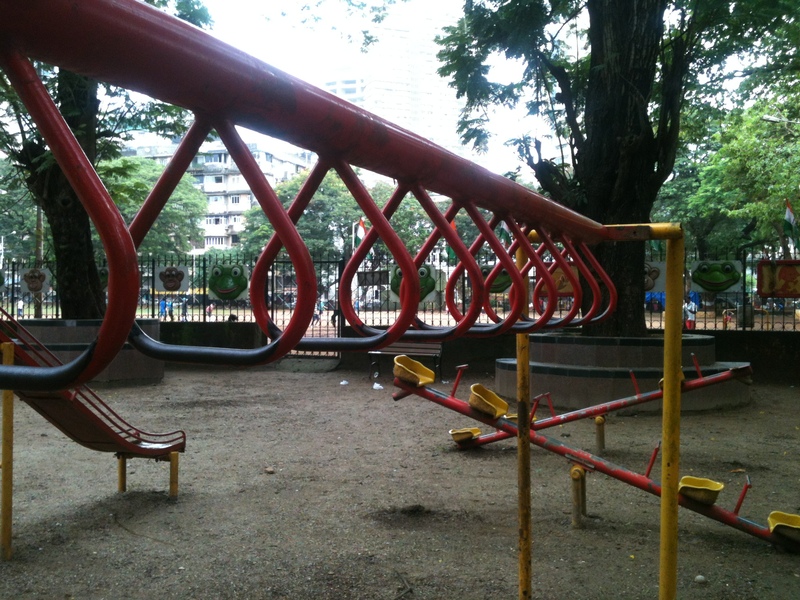 Now about the park itself….its merely a park and this saddens me. Not any where does it mention the history and its significance in our democracy. 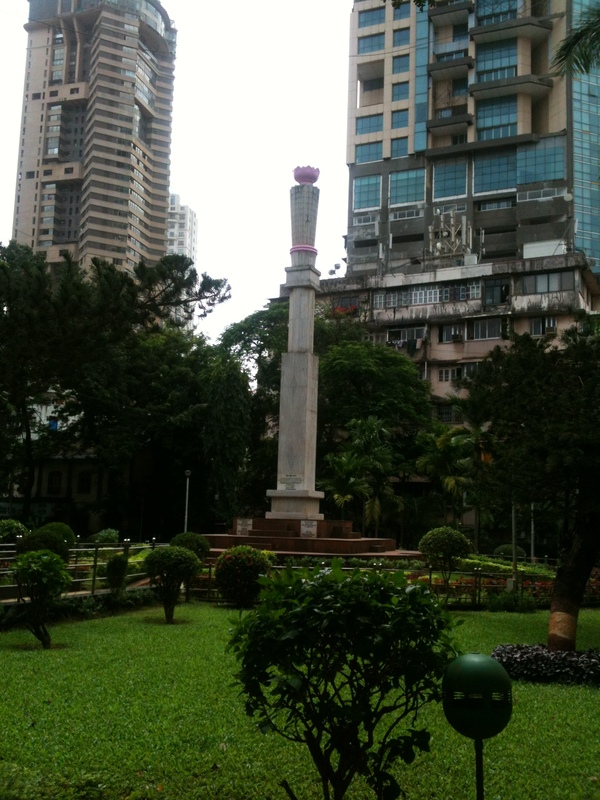 This pillar commemorates the place from where Mahatma Gandhi gave his speech. This vast open ground and massive trees here would have witnessed the vibrance and passion of our struggle for our country. 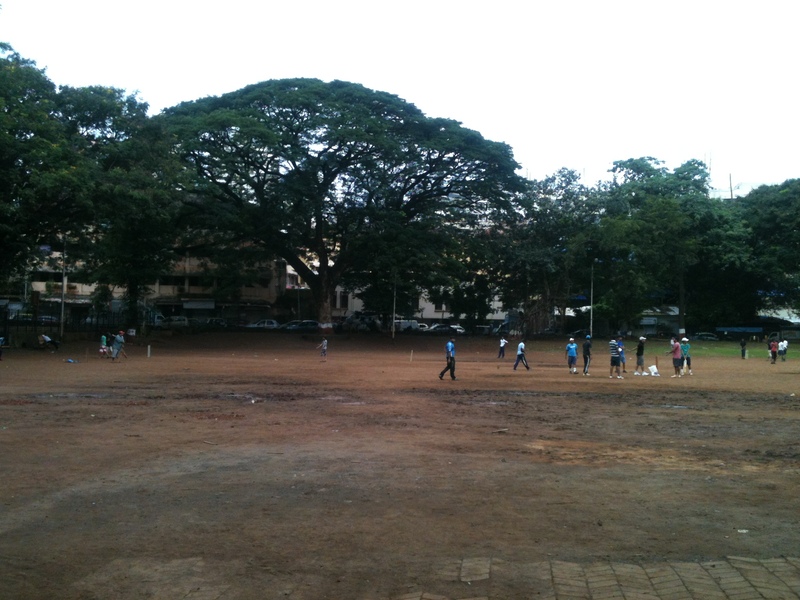 Today it is only a popular venue for cricket matches. 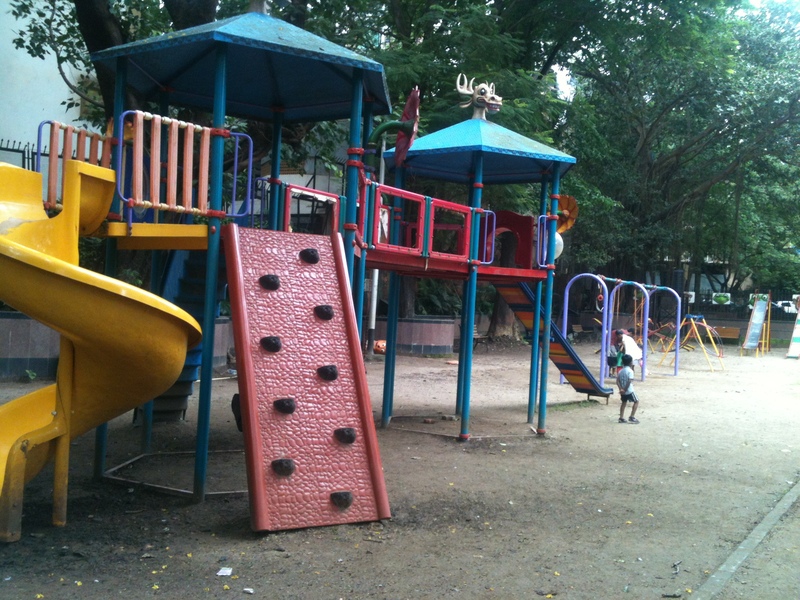 Even though oblivious to the sanctity of this place, we the children of Gandhi have inherited something more precious than life itself and that is the Air of Freedom! Shouldn’t we thank our stars? You seem to know perfectly, what pictures to take. The questions raised & brought out here on the quality of the society are significant, yet again!